Xiaomi has confirmed that it will launch MIUI 8 and the new Mi Band 2 at its upcoming event on the 10th of May. Of course, these will be unveiled alongside the Mi Max phablet as well, which is set to be the company’s largest smartphone yet. A teaser video that was posted on MIUI’s YouTube channel offers us a sneak peek on what to expect from MIUI 8. Specifically, the notification shade has been revamped to offer a much more dynamic experience. The quick setting toggles are also available through the drop down menu, which is revealed by scrolling left or right. Besides having a Material Design feel to it, MIUI 8 is also rumored to feature a cloud music application. 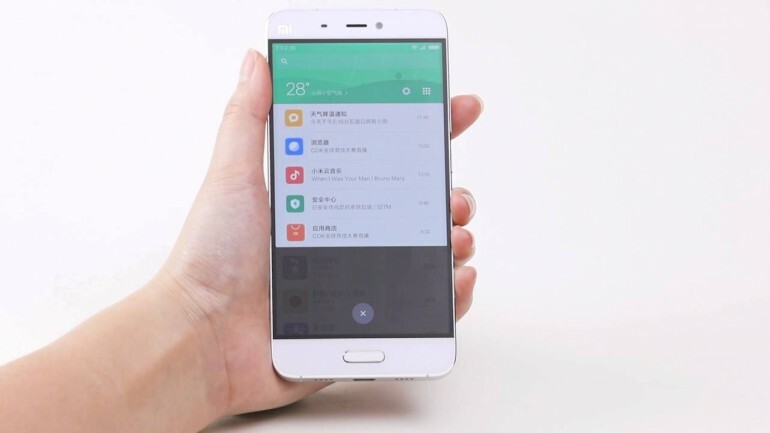 It is also said to be based on Android Marshmallow 6.0, considering that the latest MIUI 7 is built upon it too. The recently teased Mi Band 2 will also claim a spot at the launch event. To recap, the Mi Band 2 will sport a display, something that is not featured on previous iterations of the smart band. It will be interesting to see what new features the Mi Band 2 will bring to the table. Xiaomi’s event on the 10th of May is certainly an exciting one. After all, the company will be unveiling three new things. Hopefully, more details will be revealed as we approach closer to the date.